Welcome to Werder Bremen, Felix Beijmo! The Swedish right-back joins the Green-Whites ahead of the upcoming season, joining from top-flight side Djurgårdens IF and has signed a long-term contract at Werder Bremen, sporting director Frank Baumann revealed on Tuesday afternoon. The 20-year-old is a talented youth international with a lot of potential. “Felix is a young, ambitious player who is strong on the right wing. We’re really pleased that we were able to persuade him to join us at Werder,” explains Baumann. 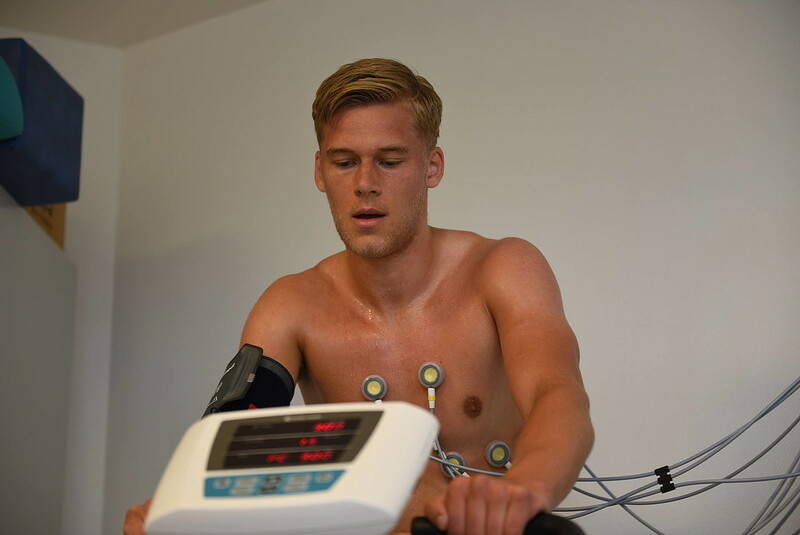 Felix Beijmo successfully completed his medical this morning (Photo: WERDER.DE). Felix Olof Allan Nelson Beijmo, the full name of the new signing, joins Ludwig Augustinsson ot become the second Swede in head coach Florian Kohfeldt’s side. “I’m sure that Felix, with the help of Ludde, will integrate into the squad quickly and that we’ll soon see his quality on the pitch. He’s very fast, he passes the ball really accurately, he can run for miles and miles and he knows when to launch an attacking play,” says Werder coach Florian Kohfeldt. “Werder is a renowned and long-standing Bundesliga club with a huge amount of potential and a lot of great players learned their trade and developed here. You can see it with Ludwig Augustinsson and others too. I’m really excited for this new challenge and look forward to joining this club with the Weser-Stadion with its unbelievable atmosphere, which I’ve already heard a lot about,” says Beijmo. Felix Beijmo learned his trade at the prestigious academy of capital club Brommapojkarna. The wing-back transferred to another Stockholm club, Djurgårdens IF, in March last year, for whom he made his debut in the Allsvenskan. He scored three goals and made five assists over his 37 top-flight appearances for the club. Beijmo celebrated his club’s win in the cup final over Malmö, which was the first title win of his professional career. He has represented all of his country’s youth teams.